The Scottish Mineral & Lapidary Club has been running since 1958 and centres around our own workshop, dedicated to the crafts of Lapidary, Faceting and Silversmithing. The Club has revived and fostered one of the traditional crafts of Scotland as well as providing a workshop and meeting place, such as was once an integral part of life in the Edinburgh closes. 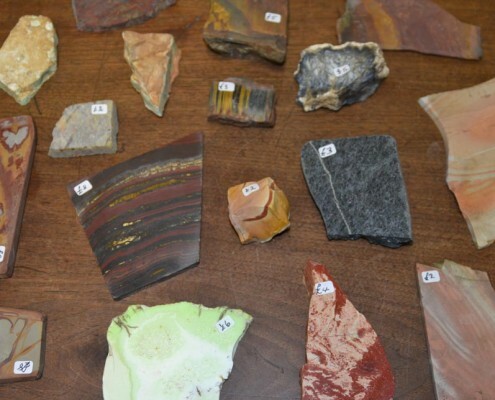 As the name suggests the Club is not solely a mineral or lapidary club but an amalgamation of a majority of sciences and crafts associated with rocks. 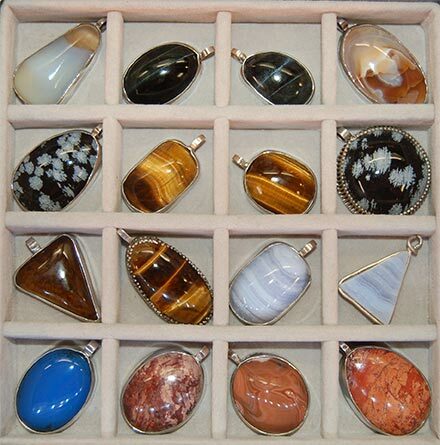 During the 19th Century Edinburgh was a thriving centre of the lapidary and jewellery trades, turning out high quality ‘pebble jewellery’ from a ready supply of ‘Scotch pebbles’ or agates and Cairngorm stones. 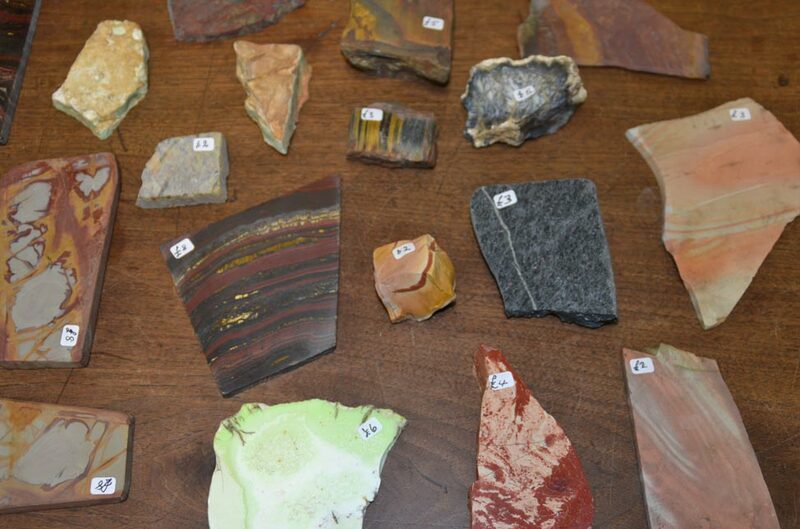 The First Lapidary Club in the UK, our aim is to carry on the Scottish lapidary tradition. The next available course will take place on: January 2020. We are looking at ways to improve on the course waiting times and we hope to open up some spaces throughout the year – If you are keen to attend the course then please let us know on our contact page and we will make every effort to accommodate you. If you would like to learn the traditional crafts of Lapidary and Silverwork or have an interest in Rocks and Minerals and would like to know more about membership click here or to enquire about our basic lapidary course click here. 25th April – Club Talk – Scottish Dinosaurs – Palaeontologist Steve Brusatte of Edinburgh University. Latest copy and first for 2019 – Click here. For more information on dates and events Click Here. Since 1958 The Club’s main object has been to encourage an interest in natural minerals and in the crafts and craftsmanship related to them. Membership is open to all and includes a full course of instruction by our very experienced members. We offer Full, Junior and Associate membership. Many different skills are practiced at the Club but the main work is carried out in 3 distinct areas: Lapidary, Faceting and Silverwork. See more of our members work. We are always keen to hear from members of the public or visitors who would like to know more about what we do. We will always try to help or better direct your enquiry.